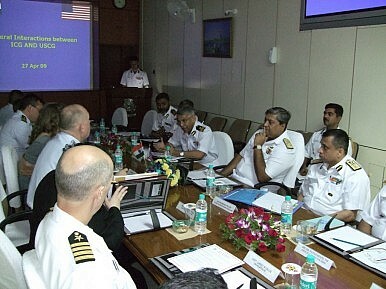 Indian policymakers are determined that terrorists will be dealt with on the high seas. The Indian government plans to beef up its coastal security in a big way to ensure that another terrorist disaster like that of Mumbai in November 2008 is prevented. As part of its ambitious plan to sanitize India’s long coastal line, the Indian Coast Guard is planning to procure 40 ships for its fleet. The government intends to soon issue global tenders for procuring six Offshore Patrol Vessels, 14 Fast Patrol Vessels and 20 interceptor boats. The Mumbai marauders reportedly used the sea for their Karachi to Mumbai journey in 2008. Since the attacks, the government has held a series of high-level meetings focusing on evolving strategies and putting mechanisms in place to plug the security holes and ensure that another sea-borne mission by terrorists is dealt with on the seas. However, the government is also aware of the fact that terrorists seldom repeat their tactics and modus operandi and are constantly looking for new targets. Offshore oil rigs could be one such target and Indian intelligence agencies have from time to time warned of the possibility of terrorists targeting symbolic, high-value economic structures such as strategic installations in coastal areas and oil rigs. The new vessels that the Indian Coast Guard plans to induct will be used for launching operations against sea-borne terrorists, narcotics smugglers and would also be used for search and rescue missions.